Well Folks. 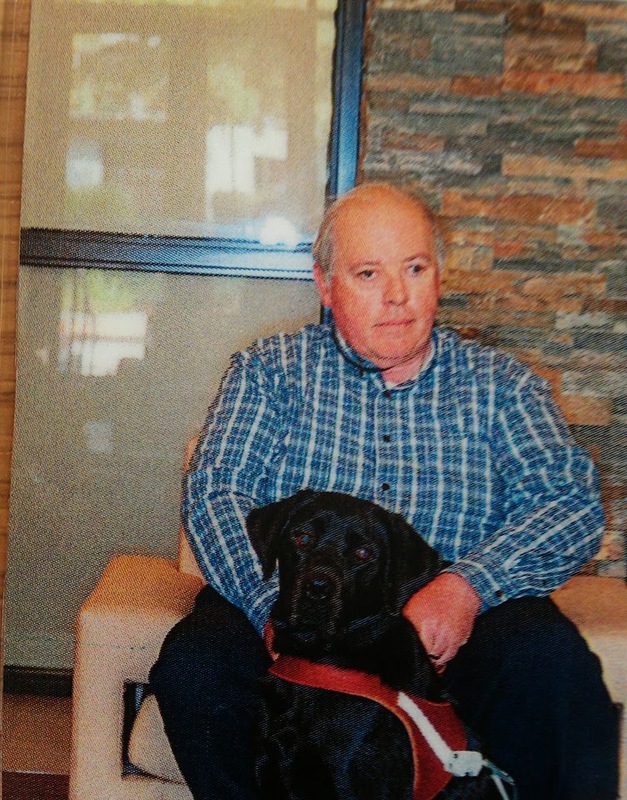 The two weeks of training at Guide Dogs for the Blind are over and yesterday, my guide "Leif" and I graduated. 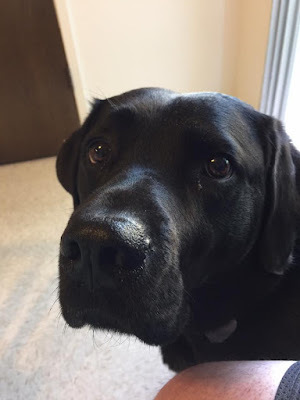 The picture above is of Leif, he is a handsome black Labrador, about 64 pounds in weight and twenty five inches tall at the shoulder. Leif loves working and also his downtime. much of which he spends sleeping. He is definitely in the California surfer dude mould, just loves to chill out with his friends and lay in the sun. I had planned to blog most evenings about the training as it went along but there was very little time after a hard working day which began at 6:30am and ended at 8:30 pm. I would be glad to answer any questions that you may have about Guide Dogs for the Blind in San Rafael, but one thing I can assure you of that all the hard work was made fun by a great group of trainers and other staff. 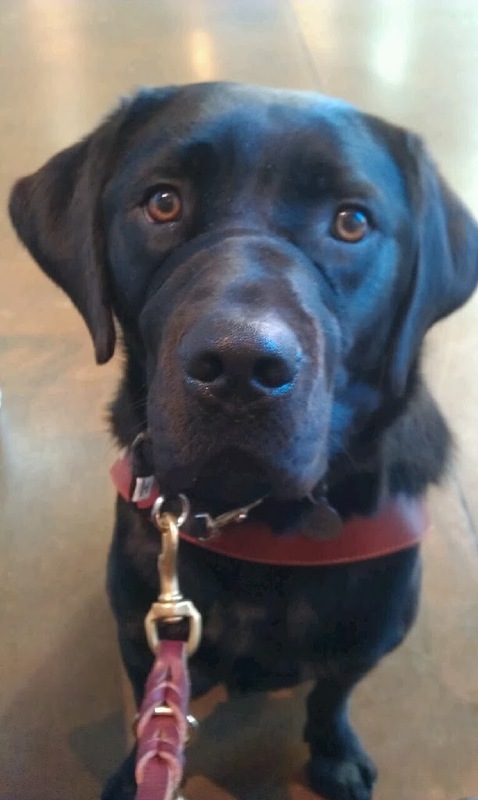 And the dog, well he is just magnificent, a great guide and a fun companion.